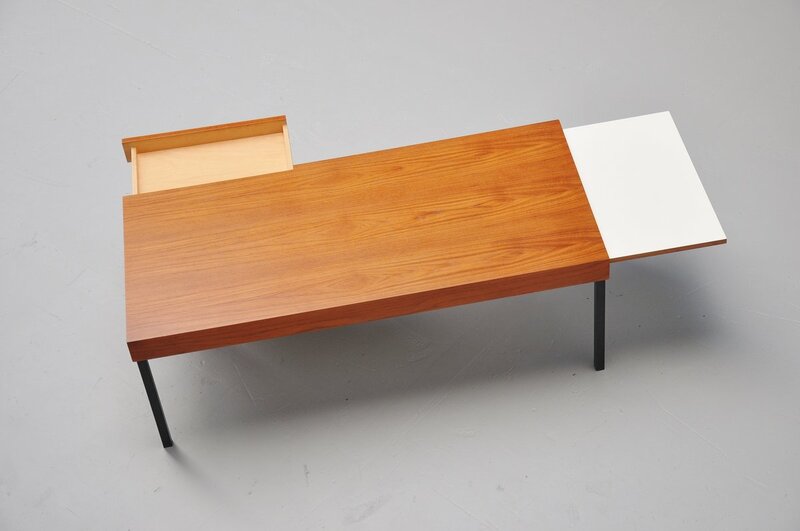 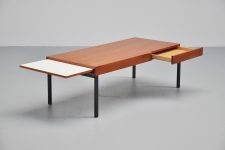 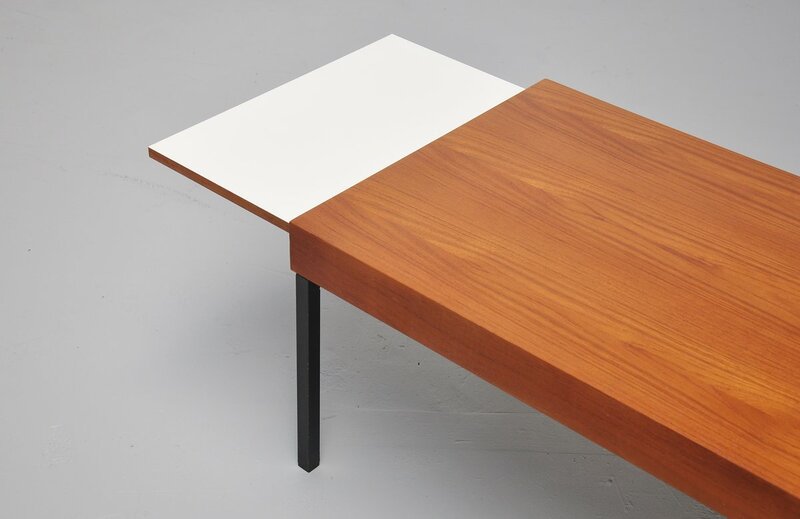 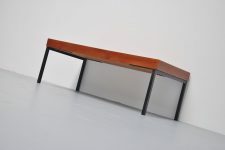 Very nice side or coffee table designed by Dieter Waeckerlin for Behr, Germany 1958. 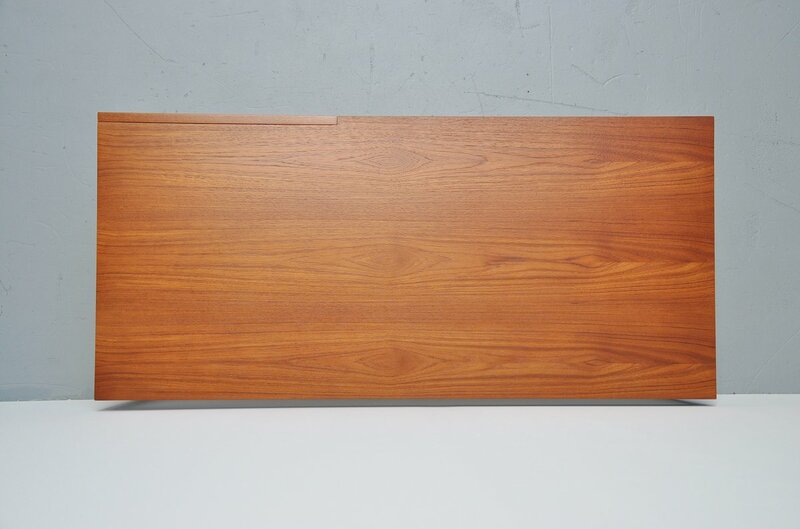 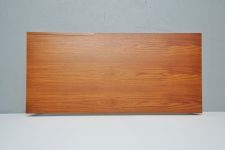 The table was made of teak wood and has an integrated drawer and extraction shelve. 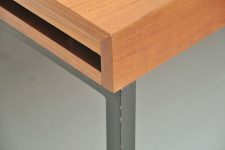 The bas is made of black lacquered tubular metal and this table is made of good quality materials. 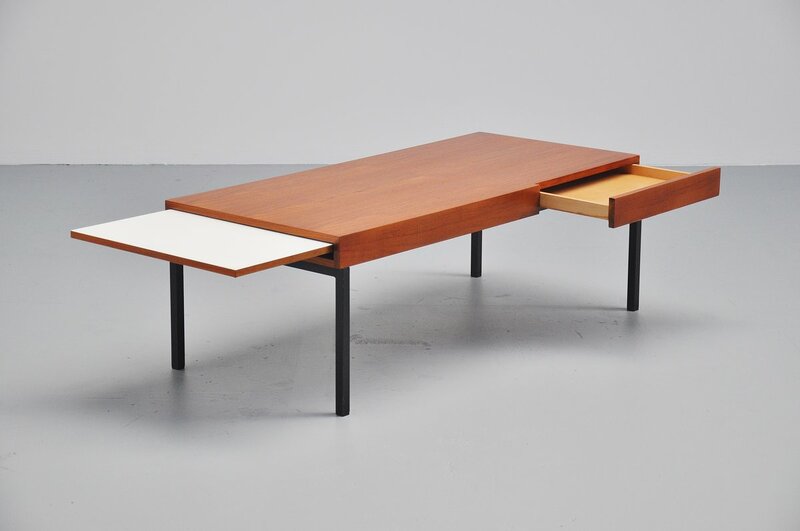 Very nice piece of German modernist design.